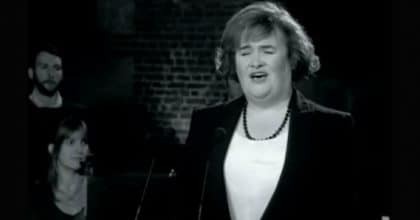 Susan Boyle’s current rendition of the ‘O Holy Night’, created a mesmerizing effect in the crowd . 8 cloggers with their ‘fancy feet’ moves made the crowd go mad. He Put Christmas Lights Around His House. Keep An Eye On That American Flag! Mind-Blowing! It’s The Most Popular Song Of All Time, But You’ve Never Heard It Performed Like This. Amazing! 11-Year-Old Must’ve Made A Deal With The Devil. Her Mastery Of Banjo Left Me Flabbergasted! Hundreds Of Prisoners Perform Michael Jackson Classic In Powerful And Flawless Dance Routine.